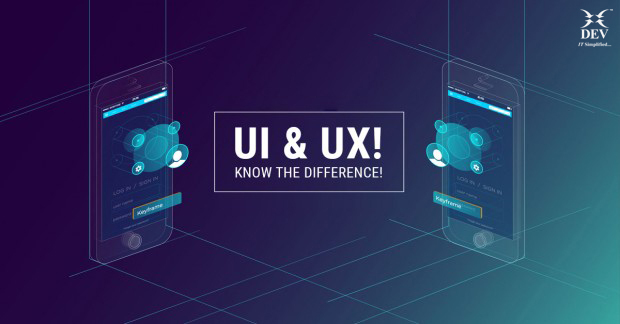 If you are in software industries and you have done any kind of research about software design, you have probably heard of the terms “UI” and “UX”. However, what separates UI from UX? UI and UX are the twin elements wherein a non-technical person can hardly find out some difference. UX design is what makes a website layout/design useful, and UI design is what makes a website layout/design beautiful. UI and UX, both are equally important to any product and these works closely to offer the finest results. Regardless of their professional relationship, their roles differ majorly when referred to the different parts of the process and design discipline. Basically, UX design is about analytical and technical field whereas UI design is all about graphic designing but comes with some more complex responsibilities. 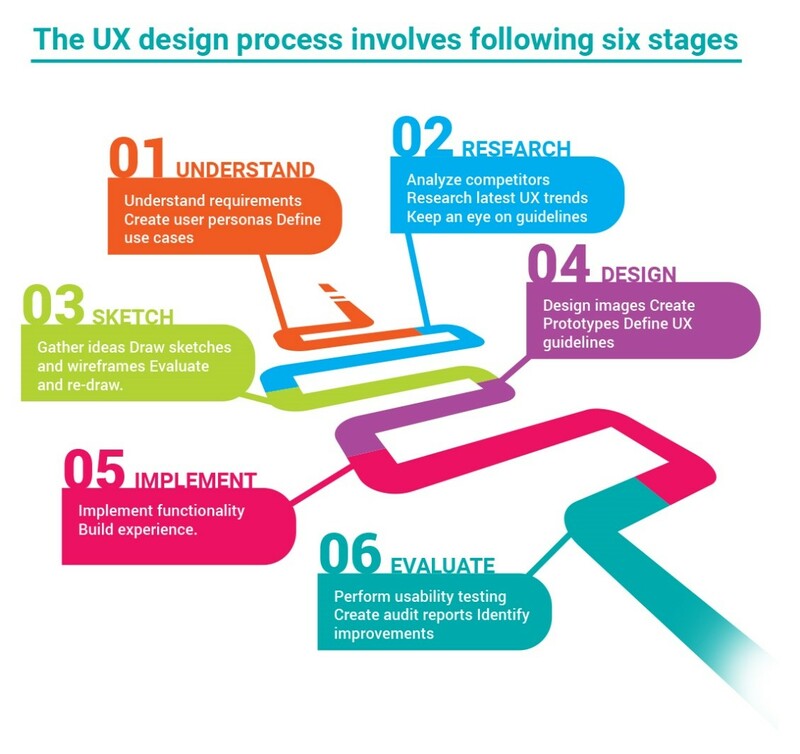 UX design is a relatively new field, which has become a necessity in many IT companies as it helps in increasing ROI. For many people, the word “design” is associated with creativity, colors and graphics, but the actual definition of design lies in functionality as well as the process behind making website/products that provide a seamless experience for the user who uses them. Knowing the target audience and ways to make their experience delightful with the website/product is the responsibility of the UX design team. The special priorities for this product are functionality, usability and user adaptability. UX designers majorly focus on the development of digital products, but a lot of analysis needs to be done for the extraordinary design and development of a product. User experience design is a process that would help you improving and polishing your designs to give it better look and feel. During this process, evaluating your designs at every stage is a major act. All the stages involve the relevant stakeholders of the organization who take part in the process in order to make the product efficient. User Interface is every visual element a user might interact with on a technological device, including the computer itself, as well as apps and websites. Nowadays, UI typically relates to a user’s experience interacting with a web page, video game, or TV interface, and primarily applicable to the alignment of CTA (Call to action> buttons, navigation, icons, and logos. 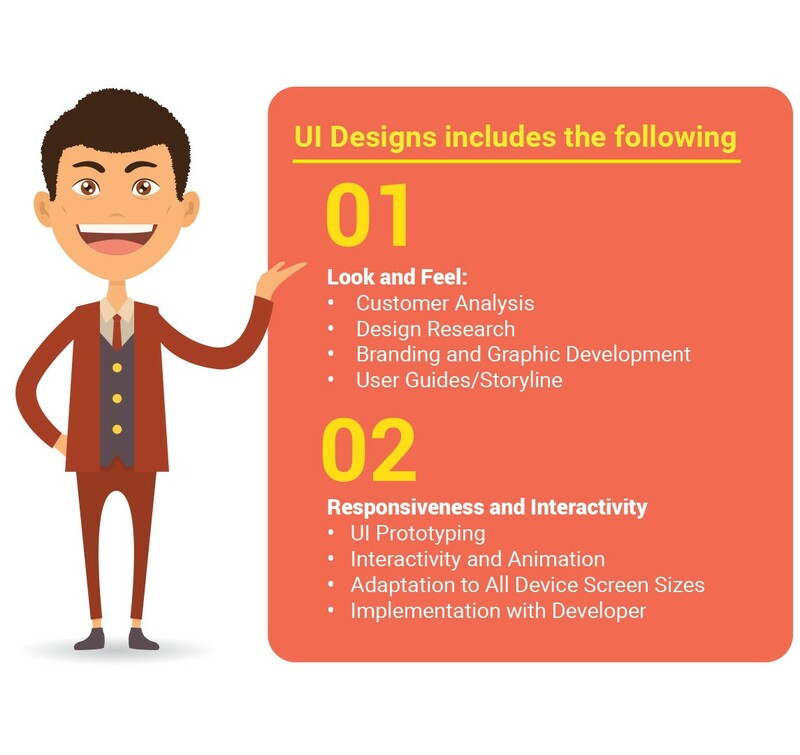 User Interface Design is responsible for the transference of a brand’s strength and visual assets to a product’s interface to best enhance the user’s experience. Dev Information Technology Limited (DEV IT) is a public listed company on NSE Emerge: [DEV IT] and is an end-to-end IT service provider that believes in offering innovative solutions. DEV IT has its expertise in various areas such as enterprise mobility, enterprise applications, infrastructure management services, custom application development, cloud development and many more. Team Lead (UI Developer) at Dev Information Technology Ltd.